House (150 m2 + 750 m2) located in Lloret de Mar, 9 km from the beach and the centre of Lloret, in the residencial area t of Aigua Viva Park. It has 5 double bedrooms (1 double bed 135x190cm; 8 single beds 90x190cm), a living-room (TV), a kitchen (dishwasher), washing machine, 2 bathrooms. Private garden and pool (8 x 4 m). Barbecue. Outside shower. Ping pong table. View of the mountain. Optional electrical heaters (not included. Extra price for using it: 50 euro / week). 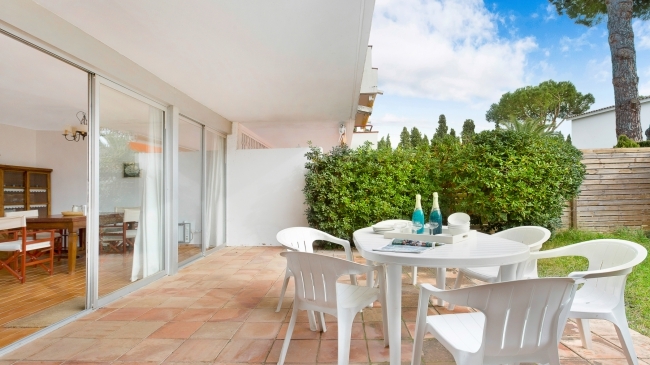 Basic apartment located in Calella de Palafrugell, at 350m from the beach and 400m from the town centre. With 2 double bedrooms (1 double bed, bunk beds), a kitchen (washing machine), 2 bathrooms, living room (fireplace, Tv), and a terrace. 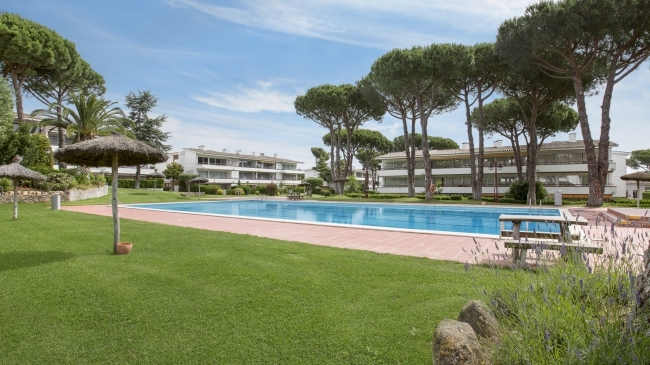 Communal pools, gardens, playground, tennis courts - must cross the street to access the pool and gardens. Basic, large and illuminated apartment located in Calella de Palafrugell in a community with pool, beautiful gardens, children's area and tennis court. Only 350 m from the beach and the city center. Capacity of 5 people. It has 2 double bedrooms (1 double bed (150x190cm), 2 single beds (80x190cm), and a mezzanine (single bed 80x190), 2 complete bathrooms with shower (one of them is a suite). kitchen with oven, microwave and washing machine), living-dining room with fireplace and exit to a large furnished terrace with partial view on the sea. 2nd floor without elevator. The apartment has no view of the pool. Ground floor apartment located in Calella de Palafrugell in a quiet and family community with swimming pool, spacious gardens and tennis courts. It has 2 double bedrooms (1 double bed (135x190cm) and bunk beds (90x190cm)), 2 bathrooms with shower (one of them is a suite), fully renovated kitchen (vitroceramic, oven, microwave, dishwasher, washing machine), living-dining room (TV) with fireplace and access to a large terrace of 40 m2 equipped with a small private garden giving direct access to the pool. 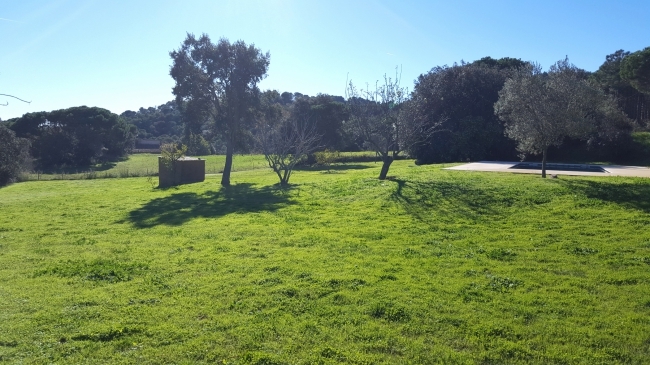 Only 350m from the beach and 400m from the city center. Apartment located in Calella de Palafrugell in a quiet and family community with swimming pool, spacious gardens and tennis courts. First floor without elevator. It has 2 double bedrooms (1 double bed (135x190cm) and bunk beds (90x190cm)), 2 bathrooms with shower (one of them is a suite), fully renovated kitchen (vitroceramic, oven, microwave, washing machine, dishwasher, living-dining room (TV) with fireplace and access to a furnished terrace with views of the garden. Only 350m from the beach and 450 from the city center.